I love discovering new brands and recently I was introduced to Design.ME, a haircare brand based in North America and making their way overseas. All of their products are free from the nasty stuff – they’re cruelty, paraben and sulphate free and always vegan. 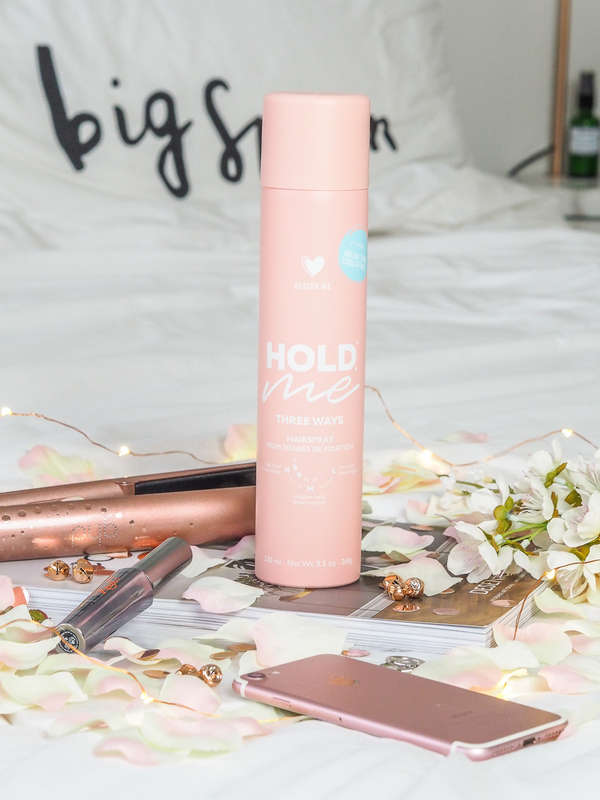 The product I was sent was the Hold.ME hairspray, a revolutionary hairspray that adjusts to the level of support you need. It gives three levels of support. From just a little twist of the knob, you can modify the hold from light to medium to strong. The hairsprays formula is long-lasting, flake-free and will give you shine, UV protection and volume. I love the concept of the adjustable levels. I’ve got a range of hairsprays all designed for different levels of hold, so to have all of them packed into one can is super handy. 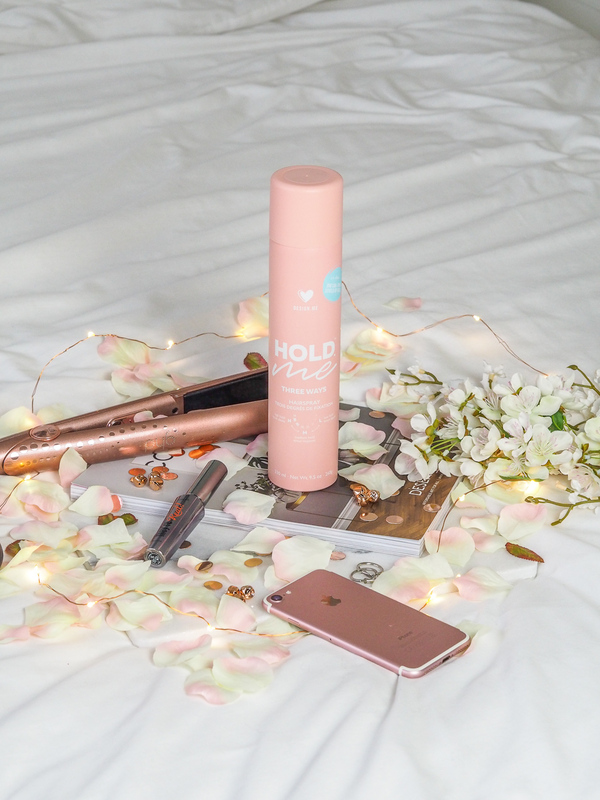 Design.ME suggest what you’d use each level for, so for a light hold you might be styling beachy waves, taming some flyaways or just spraying on after a blowdry. For a medium hold, you might be going for the seek and flat look, you could be prepping for curling or style shaping. And for high hold, you’re looking at updos and braids, tight curls and slick looks. Another thing I love about this is the design and branding – isn’t it just the cutest? It’s fun, unique and modern and the can looks perfect sitting on my dressing table. I’ve enjoyed using this hairspray so far. I recently had my hair cut and I’ve been desperately trying to master the ‘casual, effortless curl’ look, which can be hard when you’ve got a bob and hair that refuses to hold curls. This has helped me out massively though. I’ve been using my straighteners, separating my hair and spraying some of Hold.ME between each level. Despite not holding the curl perfectly throughout the day, this hairspray does a pretty good job. My hair is known for resisting any kind of styling so to have even a tiny bit of shape in it at the end of the day is a success. Despite using Hold.ME on the high hairspray level most of the time, I find it doesn’t leave my hair too crispy and can easily be brushed out. There’s nothing worse than a hairspray that crisps your hair up and means you have to wash it after every single use. Most days I’ve used this, brushed it out the next morning and my hair has felt good as new. Overall I’ve loved being introduced to the brand. At first, I thought the 3 levels was going to be a bit of a gimmick, but they do actually make sense and having the option for a lighter hold when I want it is definitely handy. What do you think of this hairspray? A gimmick or a clever invention? "Two from Rosehip Plus Skincare"